A common misconception from cyclists is that once you switch from riding in a motor vehicle to riding a bicycle, all road rules change. The truth is, that cyclists have many of the same rights as motorists while riding on the road. According to the League of American Bicyclists, each year approximately 45,000 riders are injured in collisions with motor vehicles and many of those injured riders are not informed as to what their rights are. Bicycles can be parked on the sidewalk as long as they don’t hinder any vehicles or pedestrians. Cyclists may move away from the right side of the road in order to pass parked vehicles, avoid parked cars or other obstacles, make left hand turns, pass another cyclist. Cyclists can ride side by side with a limit of two bicycles. Cyclists are required to wear reflectors and have a white headlight when riding at night. The above laws alone are just a start to riding safely and within the Arizona laws. 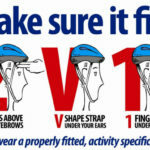 Although Arizona does not have a helmet law, using a properly fitting helmet can save lives and should be considered. Another cause of many accidents on bicycles involves distracted riding, similar to distracted driving. Riders should always stay alert and away from distractions that could take their eyes from the road. The most important thing to remember if you are ever involved in a bicycle/vehicle collision is to remain calm. We recommend always riding with a cell phone just in case something were to ever happen. Similar to a car collision, you will want to take pictures of the collision damage and collect information from the motorist. If your bike becomes damaged from the collision, take it to the shop and have them write you a report for the damage with the receipt. If you feel that you need a bicycle accident attorney make sure to choose one with experience. There are many factors that will determine the final settlement amount and an inexperienced attorney will more than likely not be familiar with these factors. Visit the Arizona State Legislature for a full list of bicycle laws for Arizona.